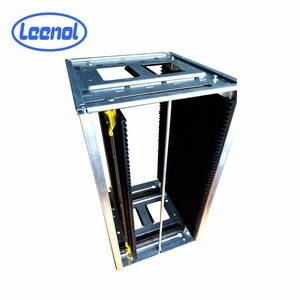 LN-B804 Electronic PCB Storage Rack Adjustable Magazine SMT Racks The description of smt esd magazine rack Leenol ESD Magazine Racks are available with various types and sizes to meet customer's needs and all models are compatible with standard SMT equipment. 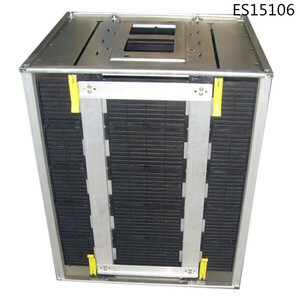 is a leading manufacturer of ESD packaging items, ESD equipment for production line and cleanroom products with well-equipped testing equipment and strong technical force. 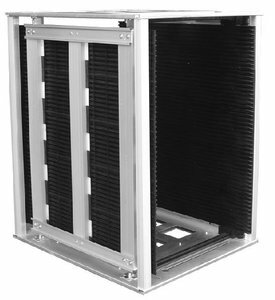 With a wide range, good quality, reasonable prices and stylish designs, our products are extensively used in semiconductors, electronics factories, cleanrooms and labs and other industries. 50pcs of PCB Plates can be stored. 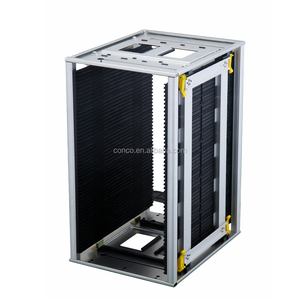 50pcs of PCB Plates can be stored. 50pcs of PCB Plates can be stored. With a really tough, moistureproof and anticorrosive, shockproof insulation and other merits. 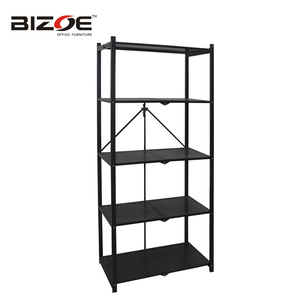 Product performance: Bending, anti-aging, bearing strength, tensile, compression, tearing, lightweight, durable. 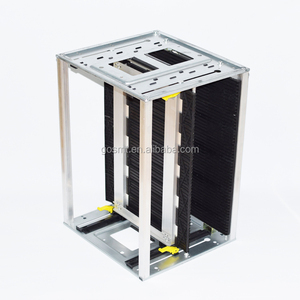 ESD PCB Rack Picture; Dear Buyer if you are intersested in our products please feel free to contact with us. Thank you! Adjustment: G-Gear track adjustment, S-Screw adjustment 7 . PCB slots: The number of the SMT magazine rack Can accommodate PCBs P. Free replacement or refund would be done in case any quality problem. Our Promise: 1) Quotation will be sent out within 24 hours. 3. I ncreas ing space utilization and more economical. 3) Nanjing is a port city, which means lower inland transportation costs. 3/ Guarantee: Requirement of customers & quality of products will be full guaranteed. Every defective product during the transportation can be compensated in the next order. If you have your own picture or design need to produce,OEM servise offered! 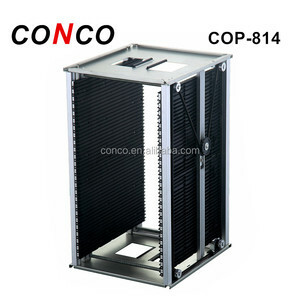 Point 1,Good quality and competitive price. 2.Fully range of products for choose. 3.Any doubts, contact us. 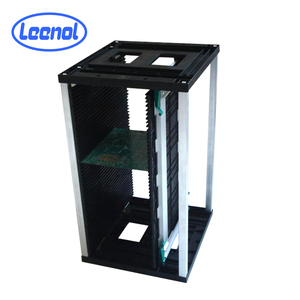 Dongguan City Xin Lida Anti-Static Products Co., Ltd.
Taizhou Yunxing Anti-Static Equipment Co., Ltd.
Shanghai Chenlong Static Technology Co., Ltd.